Summer is the time for seafood and this heat definitely calls for some oysters. Luckily, Sunday, August 5th is National Oyster Day, so get to shucking. Did you know oysters offer an abundance of health benefits? That’s right, these peculiar creatures deliver a boost of zinc to aid in healing and immunity, a healthful supply of Omega-3 fatty acids to improve heart health, and are a great source of essential nutrients integral to your overall health. 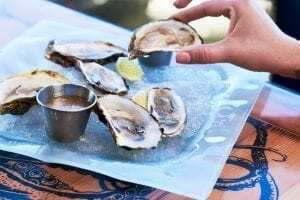 On National Oyster Day, be sure to grab a group of friends and celebrate this slurp-worthy and downright delectable bivalve at some of these local eateries around San Diego. 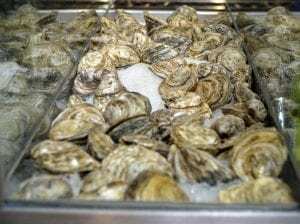 If after National Oyster Day on Sunday, August 5th you still have a craving for the salty sea creatures, visit Beerfish. With a focus on sustainable seafood and craft beer, Beerfish shucks up $1 raw oysters every Monday (until supplies last) along with $4 IPAs. This tasty twosome draws the crowds, making the casual North Park eatery one of the neighborhood’s favorite Monday evening hangouts. 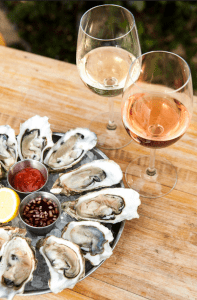 The Gaslamp District’s Blue Point Coastal Cuisine is hosting an oyster and wine pairing event on Sunday, August 5th. For $30 enjoy 6 pairings of the best oyster dishes and wines from 1:00-3:00 pm, or nosh on $1 oysters beginning at 5:00 pm till close. Call the restaurant to make your reservation for an unforgettable National Oyster Day experience. If a Japanese take on oysters is your idea of a true oyster celebration, in Little Italy invites guests to journey into a place of both intimacy and companionship. Venture into their stunning space, complete with two true-to-size faux cherry blossom trees and prepare to feast on Oysters on the Half Shell, served with radish, ponzu, and scallions. Pair this with a wine of your choice from their extensive list, or keep the Japanese theme intact with an order of sake for sipping. Join in the mollusk madness with $1.50 oysters at Liberty Public Market’s Fishbone Kitchen. 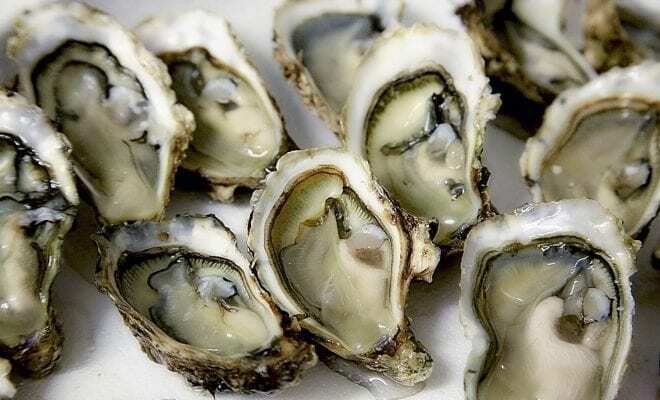 Stop by the 12-seat raw bar on August 5th to enjoy raw oysters alongside a selection of sustainable seafood choices such as fish, ceviche, poke and fresh, spiky sea urchin. Located in the Pendry San Diego in the city’s trendy Gaslamp Quarter, the dynamic, design-driven hotspot on 5th Avenue honors the essence of the city’s lifestyle. Head in and enjoy $1 Oysters from 5-7pm at the modern, cutting-edge restaurant. This coastal community favorite will be shelling out $1 oysters all day long in honor of the holiday. 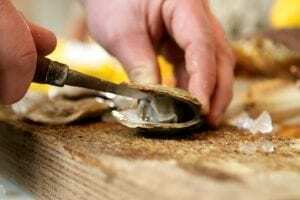 From California local to Prince Edward Island, Herringbone serves up oysters of all kinds, and even offers a sampler for those diners looking to try a variety. Experience all the freshest catches al fresco, underneath the gorgeous 100-year old olive trees, and of course, with a glass of rosé in hand. Nestled in the heart of Mission Beach is a revival of the area’s colorful past. Whether you’re a first-timer, occasional beach-goer, or a Pacific Beach local with roots in the neighborhood, this is the perfect spot to savor oysters on a Sunday afternoon. Their scrumptious Oysters are served with chimichurri, house cocktail sauce, horseradish and fresh lemon. It wouldn’t be a proper trip to Miss B’s without one of their signature libations, so don’t be afraid to pair your plate with a gin-centric cocktail, such as their Blackbeard’s Delight, infused with Navy Strength Gin, fresh lemon juice, pomegranate, ginger, fresh grapefruit and angostura bitters. Situated in San Diego’s trendy Gaslamp Quarter is one of Southern California’s premier destinations for fine dining and nightlife. Featuring an upscale, exclusive dining experience like no other, this local staple is dedicated to crafting the finest quality dishes for all guests. Straight off the Raw Bar menu, you can order their Daily Oysters served with mignonette cocktail sauce. Pair this with a crisp glass of Sancerre or an effervescent flute of champagne. This local favorite was opened with the sole purpose of providing the best service and freshest fish in Pacific Beach. 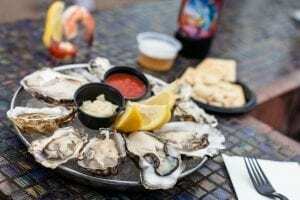 Their inviting, dog-friendly and coastally-inspired patio lends guests the ideal atmosphere to indulge in some of the freshest oysters in the area. Invite your fellow oyster fanatics and celebrate the day right with an order of their plump and flavorsome Oysters, or toast to a day of slurping with their Fish Shop Oyster Shooters, served spicy or non-spicy, accompanied by a beer chaser, and garnished with a poached shrimp. Located just steps away from the beach, the Shore Club invites beach-dwellers to sit back, relax and bask in the ocean breeze that sweeps their expansive patio. Attuned to the coastal fare indicative of the area, this surf-inspired hotspot is the idyllic destination to gorge on their house specialty, fresh oysters, which come served with horseradish, cocktail sauce, and mignonette dip. 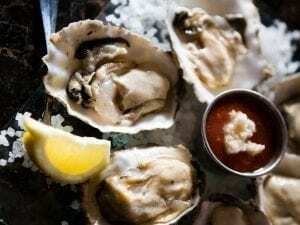 This swanky modern steak & seafood hot spot introduces a cultivated selection of fresh East and West Coast oysters to its Coronado rooftop dining space. Slurp $1.25 oysters all night long and enjoy Veuve Clicquot by the glass for $12. 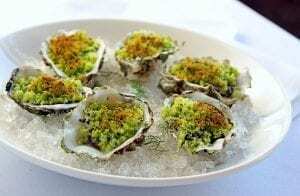 Additional oyster spotlights from the menu also include Oyster Shooters and Woodfired Oysters Rockefeller. This vibrant ocean-front restaurant offers unrivaled panoramic views, lively entertainment and irresistible menu items for the city’s astute palates. With an eye for sustainability, the culinary team sources fresh ingredients from local artisans to yield masterful, timeless and trend-setting dishes from scratch. In celebration of this special holiday, they will be offering$1 Oysters and $5 Oyster Shooters all day long. Pair this salt-water treat with one of their light and refreshing cocktails or wash it down with the citrus-forward and inherent saline-like minerality of a pinot grigio.